The technical department is the starting point for the personal attention to our customers. 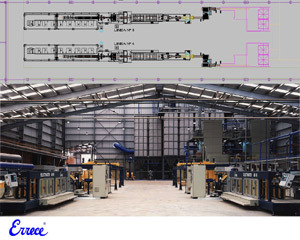 Our technical staffs prepares personalized lay-out for giving to each customer the best and more appropriate distribution of machines according to the available space. 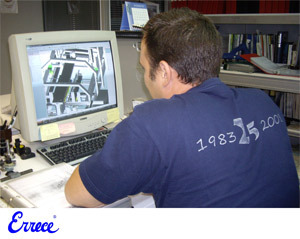 Special care is dedicated to combine new machines with the already existing machines in the customer factory. Our engineers have a very good preparation in the new technical developments on the mechanic, pneumatic and electronic sector. Thanks to them we can adjust the machines according with the customer requirements. The collaboration with our customers gives us the possibility to be the specialist in big size tiles (1200x 1200) thanks to prototypes developed step by step with the customer collaboration and thanks to our research and development department.